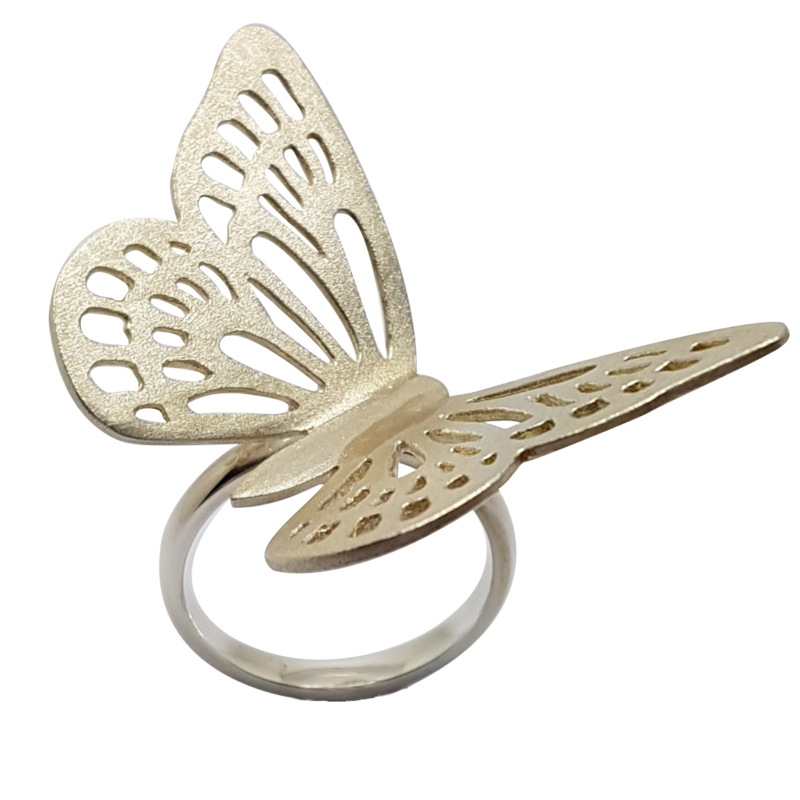 Our butterfly ring is part of our contemporary collection and is made exclusively by Love from Skye on the Isle of Skye. Our butterfly ring design is made from Sterling silver. The band is 4mm wide and the intricate cut-out butterfly measures 38mmx20mm. Using the options above you can choose to have your butterfly finished with a polished-finish or a frosted / matte finish, as shown in images. Please note that if you select the frosted finish, this finish will be applied to your butterfly, while the band of your ring will be polished.